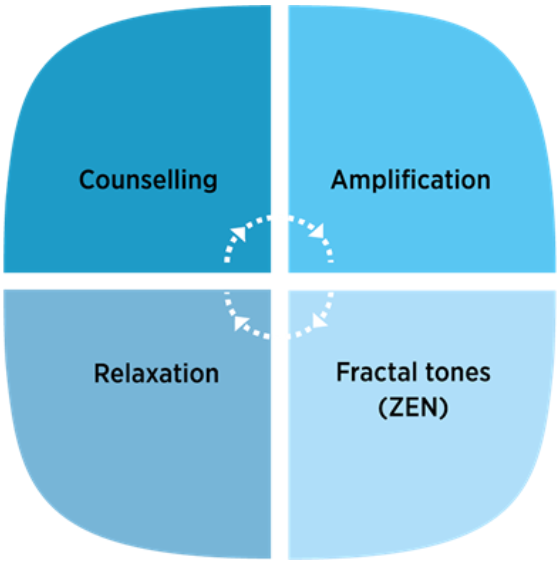 WZT is a structured treatment program which consists of up to four (4) components being: Counselling, Amplification (if required), Fractal Tones (Zen) and Relaxation. The fractal tones and amplification is delivered via discreet and comfortable WZT devices on each ear that most patients wear throughout their day, or during times when the tinnitus is most disturbing. The WZT trained audiologist at Focus Hearing will guide you through the WZT program and will specifically tune your WZT devices to your results. Widex Zen Therapy devices are available in range of styles and budgets to suit your needs. What Are Fractal (Zen) Tones? Fractal Tones are a music-like stimulus available exclusively in WZT devices. They are based on fractal technology which ensures the tones are predictable but not repeatable. This is very important to allow each patient’s auditory system and brain to not focus directly on the Zen tones, while they are offering significant relief to the tinnitus. Therefore, patients are able to listen to the Zen tones during their everyday routines with no disturbance. 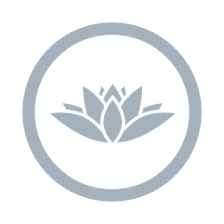 The audiologist at Focus Hearing will customise the Zen tones to your auditory profile and tinnitus pitch and volume. You are then able to adjust these settings as required on a daily basis. And if you also have a hearing loss associated with your tinnitus, the audiologist can also activate the amplification settings on the WZT devices to provide sound enrichment from the environment which will both improve the hearing clarity as well as reduce the tinnitus perception. WZT was first released in 2012, and since then it has been clinically proven to offer significant tinnitus relief. Studies have shown that the most significant reduction of tinnitus disturbance occurs in the first 2 months following treatment (Herzfeld et al, 2014; Sweetow et al, 2015a). Following this a more gradual and long term relief from tinnitus is achieved. Furthermore, Sweetow et al (2015b) showed that fractal tones were significantly beneficial to patients with disturbing tinnitus without significant hearing loss. Again the most significant improvement occurred in the first 2 months following the fitting. In addition, patients in these clinical trials self-reported that the Zen tones were beneficial at: reducing tinnitus awareness, reducing stress and reducing anxiety. Sweetow, RW, Fehl, M, Ramos, PM. Do tinnitus patients continue to use amplification and sound therapy post habilitation? (2015a). Hearing Review, 21(3) pp. 34. Sweetow R, Kuk F, Caporali S. A controlled study on the effectiveness of fractal tones on subjects with minimal need for amplification (2015b). Hearing Review, 22(9), pp. 30. Herzfeld, M, Enza, C, & Sweetow, R (2014). 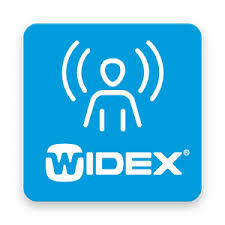 Clinical trial on the effectiveness of Widex Zen Therapy for tinnitus. Hearing Review, 21(11), pp. 24-29. 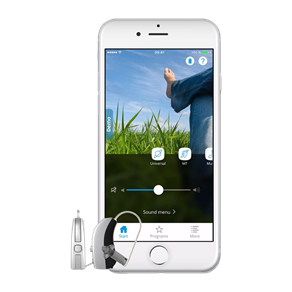 The Widex Zen Tinnitus Management App can be used to complement the WZT treatment program and the Zen tones you receive from the WZT devices. The Widex Zen Tinnitus Management app contains a large library of relaxing sounds which can be used to supplement the Zen tones you are receiving. Also, the app gives you access to a variety of tools to help you relax and reduce stress associated with the tinnitus. The first step toward tinnitus relief is to complete a full tinnitus assessment which will assess your suitability to the WZT (or any other) tinnitus management program. More information on what we do during this initial assessment can found by clicking on this link: Tinnitus Assessment . If you choose to proceed with the WZT therapy, the audiologist will explain your options for WZT devices and the required appointment schedule. Fitting Appointment: During this appointment the audiologist will revisit the WZT concepts. Then the WZT devices will be fitted and thoroughly explained to you. If there is a hearing loss associated with the tinnitus, then the WZT devices will be set up with a the correct amount of amplification to compensate for the hearing loss. However, is there is no (or minimal) hearing loss with the tinnitus, then the audiologist will set up the Zen tones to best blend with your specific tinnitus pitch and volume. Review Appointment: This appointment is typically 2 weeks after the fitting appointment. During this consultation, there will be an in-depth evaluation on the WZT devices and benefit they are offering. At this point, the audiologist will also introduce Zen tones if this was not done previously. 2nd Review Appointment: Further evaluation of the WZT fitting, and where necessary fine tuning of the devices will occur to maximise their effectiveness at reducing the tinnitus perception. Review Appointment : (2 months following initial fitting appointment) A thorough review of the WZT outcomes and progress. By this stage a significant improvement in tinnitus awareness and disturbance should be seen, and a long term plan will be discussed. Patient is encouraged to return to see the audiologist should they notice any change. 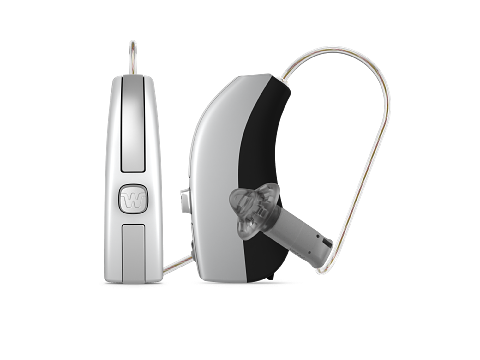 WZT device cost starts at $1800 per ear: the WZT devices are fitted on our 30-60 day return policy to ensure suitability. The WZT devices are available in a few options, all of which offer the patented WZT Zen tones. WZT devices will therefore vary in terms of style or appearance, Bluetooth connectivity to allow wireless streaming of any tinnitus sound therapy apps to from your iPhone directly to the WZT devices, and the ability to synchronise Zen tones in each ear to allow for a more natural listening experience (called InterEar Zen). If you have private health insurance you may be able to claim a portion of the cost of the WZT devices from your health fund (depending on your duration and level of cover).